This adorable little girl is our Faith. Couldn’t you just eat her up? Faith is smart and inquisitive, and can talk your ear off. She may look like every other little 6 year old, yet she has been diagnosed with Autism, leading her to not like change or new environments. She also has a sensitivity to loud noises and chaos around her, while also struggling to sleep through the night. 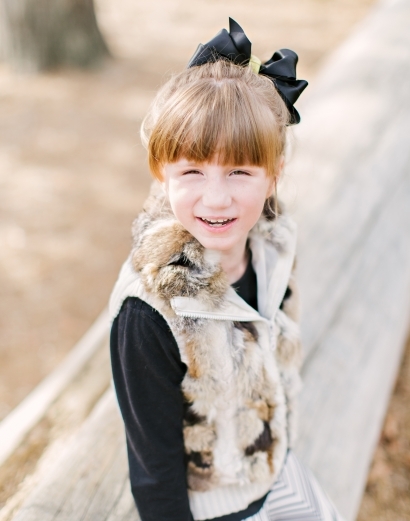 Faith needs a forever family that is composed of 2 parents that have an understanding of post-traumatic stress disorder, as well as other disabilities. Her forever home will need to be nurturing, loving, patient and very understanding of her needs. Faith is a sweet young girl that finds solace in music and playing outside bringing that smile that you can see to her little cheeks. Are you the mom or dad that Faith desperately needs? If you are interested, fill in the inquiry below.